The manufacturer W.AG belongs to one of the leading providers of design-oriented plastic cases in Europe and regularly amazes its customers in industry, commerce and crafting with innovative new developments. This year the company is using the FachPack in Nuremberg to celebrate a premiere: The presentation of its new case model TWIST. Minimalist design with a modern style and many functional details make this case a highly flexible transport, protection and presentation packaging solution. Geisa, July 2016. – Some products are capable of taking over the role of a trendsetter in their market segment. The new plastic case model TWIST from W.AG has got this in it – and it would not be the first time that a design product from the Geisa manufacturer sets new standards. Because the company, based on the experience and know-how from the development of many successful box and case systems, has created, with the new TWIST, a plastic case with innovative design and a clever, ingenious construction, a future-oriented transport, product protection and presentation package for many applications and industries. Here, the TWIST scores not only with a “cool” appearance, but also with its high functionality and usability. Inner and outer values make it a highly flexible and highly versatile lightweight case solution. W.AG has developed the new TWIST consequently according to modern lightweight construction principles. The result is a material-optimized and resource-saving construction with a long service life from injection moulded, food-grade polypropylene. Included among the most successful design aspects here is the innovative stacking frame enclosing the large decorated area, as well as the design of the interior. While the specially developed and integrated frame design of the TWIST case series gives the case high palletising stability when stacking and transporting, small radii and irritating ribbing in the interior have been almost eliminated. The interior of the TWIST offers therefore not only an optimal space usage – possibly for custom made specific inlays – but also supports a quick and simple wipe-disinfection. The TWIST thus fulfils the basic requirements of manufacturers of medical, dental and pharmaceutical technology. 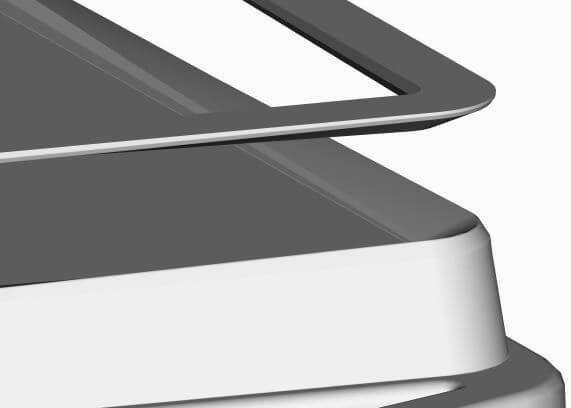 Further functional advantages of the TWIST design are the ergonomic case handle for a comfortable fit and the robust case feet, giving the case good stability. Thanks to the circumferential and simultaneously stabilising tongue and groove fitting the lid and base close dust and splash proof; the TWIST is locked with design compliant clips. There are optional matching straps with quick-release pins and a practical put-up hinge, which holds the upper shell of the TWIST open for presentations. The visible outer surfaces of TWIST are deliberately largely dimensioned, so that the customer has every possibility to make the case really individual by utilising the different printing techniques of W.AG. In addition to screen and pad printing the in-mould labelling (IML) is particularly attractive. With this direct method a prefabricated 4C offset printing PP foil is automatically inserted in the open mould prior to injection moulding. After completion of the injection moulding the printed foil forms an inseparable unit with the upper or lower shell of the TWIST case. The result is scratch-resistant, brilliant colour prints. IML is the first choice especially for brand- and quality-conscious medical technology, metrology and precision components manufacturers who want to align their packaging exactly to their branding. The clips of TWIST can also be individualised by prints or embossed logos. When it comes to inlay design all the variants of the W.AG portfolio are available to TWIST users. In addition to classic deep drawn inserts the company can fulfill nearly every wish in PU (soft foam) and PE (hard foam), and, thanks to water jet cutting, milling and laser engraving technology, implement the highest standards of design, fit, ease of use and security. The customer always receives an interior design for its TWIST perfectly matched to its products. 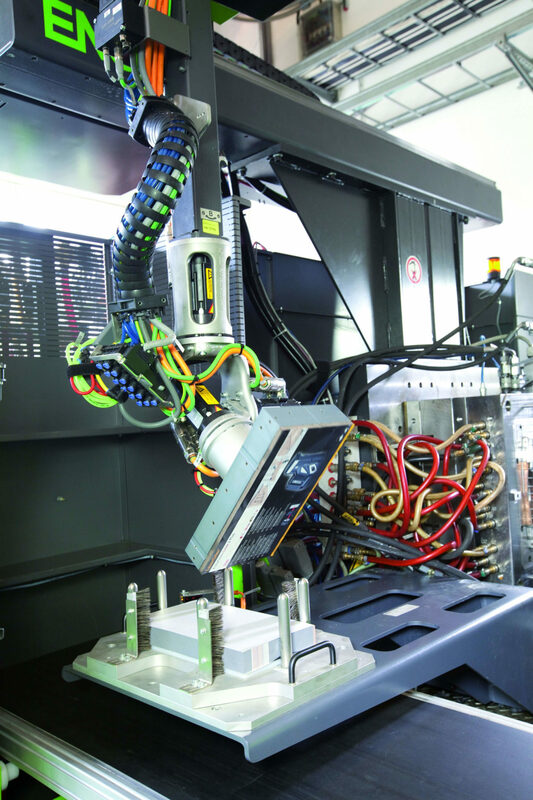 At this year’s FachPack W.AG presents the new TWIST in Hall 5 (Stand 5-432) initially in three case sizes; by the end of 2017, the model range will be extended to 18 case sizes with six basic formats. And with the primary colours and colour combinations for the case itself and clips, the customer can now choose from a plenty of different standard and special colours. Case innovation at FachPack: the new TWIST from W.AG has a material-optimised and resource-saving construction of polypropylene (PP). Specially developed gripping elements give the case high transport and pallet stability when stacking. 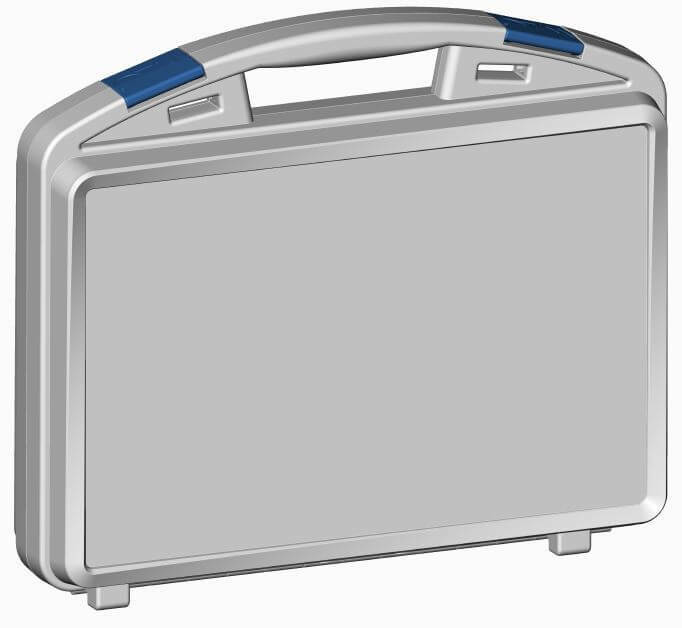 The innovative stacking frame establishes an absolute first in the field of plastic cases. 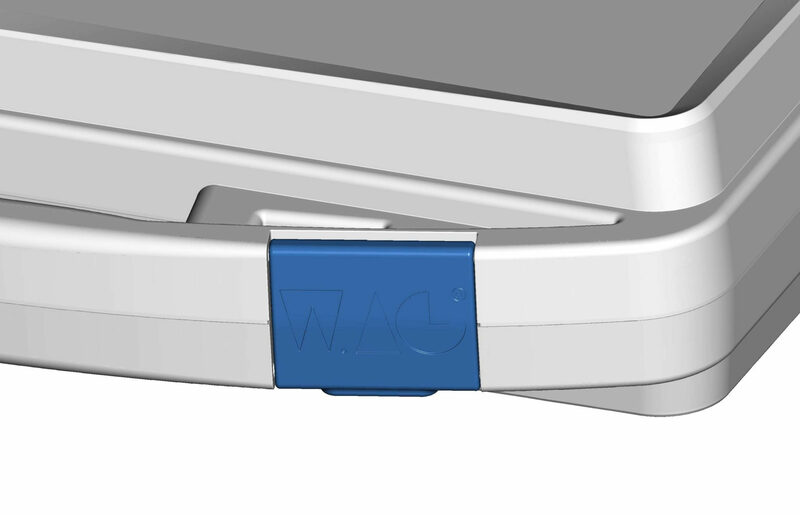 Using in-mould labelling (IML) the visible outer surfaces of the new TWIST from W.AG can be provided with scratch-resistant, brilliant colour printing and the clips can be individualised with prints or embossed logos. The most successful design aspects: the innovative stacking frame enclosing the large decorated area. With in-mould labelling printed PP foils are automatically inserted into the open injection mould and synchronously introduced with each mould injection into the still-warm half shell case body of the TWIST.